In separate bowls, soak the shiitake, dried daikon, dried tofu, and lotus root slices in hot water just to cover for 10 to 20 minutes. Reserve the soaking waters from the vegetables, discard tofu soaking water, and combine to equal 1 1/2 cups liquid. If using whole shiitake, remove stems, discard and slice the caps. If using sliced shiitake, simply soak. Chop the daikon and lotus root. Slice or cube the dried tofu. 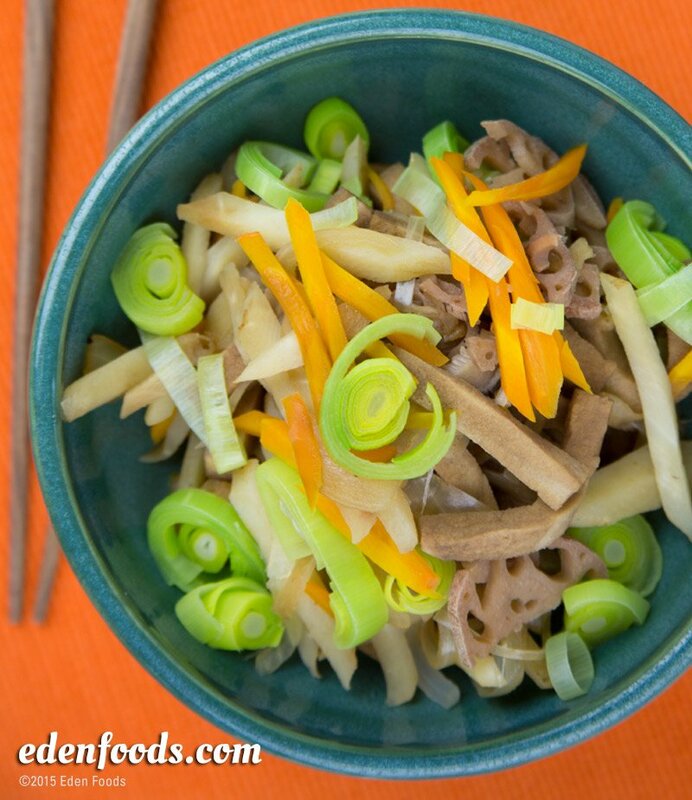 Layer the shiitake, dried lotus root, dried daikon, dried tofu, onion, parsnip and carrots in a saucepan. Add water to almost cover the ingredients. Cover and bring to a boil. Reduce heat to medium-low and simmer for 20 minutes. Add shoyu, cover and simmer 5 minutes. Remove cover, add leeks, mix and cook 2 to 3 minutes until most of the remaining liquid is gone.